I try to attend the JKA Honbu Dojo (Tokyo) Gasshuku every year to study and, if required, take International Licence Exams, thereby enabling me to pass on the current JKA teachings directly to my students and JKA Scotland. 2013 - Opened only purpose built dojo in JKA Scotland - opened by Former UK Prime Minister, the Right Honourable Gordon Brown MP / Sarah Brown Founder of Their World Charity. Karate is a way of life, not a sport. I teach 7 days /week and train most days of the week. I train with Sensei Ohta 7th Dan JKA at every opportunity that I can, who, in my opinion, is one of the most talented / gifted instructors within the JKA. I have made many friends from countries all over the world. “We are caretakers of our Karate and as such must study and pass on as much information to our students as we can”. JKA is Shotokan Karate, founded by Supreme Master Funakoshi Gichin and passed down through Sensei’s Nakayama, Sugiura and now Shuseki Shihan M.Ueki, 9th Dan JKA. I believe that we all have a duty to study, train, progress, teach and pass on quality karate-do. Competed at National level as a junior grade, achieving medal success in both kata and kumite. 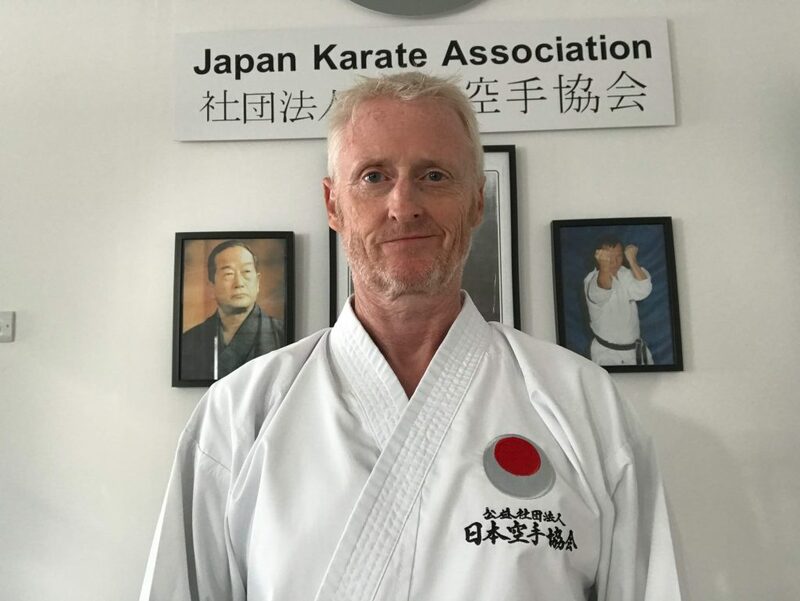 I have only recently become an Assistant Instructor at the Japan Karate Association, Dalgety Bay dojo and I am enjoying gaining the new skills required to teach karate. I originally started training aged 12 as I wanted to develop some self defence skills so that I could look after myself, however after I progressed to the grade of 2nd Kyu (Brown & White belt), I stopped training for a number of reasons. I always regretted not continuing my training so, after a break of 20+ years, I decided to return to Karate. My next aim is to continue to train towards my Sandan (3rd Dan) Black Belt. I enjoy the constant learning in karate training, the training is tough and demands full concentration. I also want to continue to gain experience as an instructor and work towards formal training qualifications. The quality of training at our club is exceptional and it’s also a very friendly and helpful club where it’s great to see people progressing through the grades and improving their skills over time.